LAS VEGAS, April 21, 2015 – ServiceChannel, the leading service automation platform for global facilities managers and external contractors, announced today that one of its leading customers will be presenting the need for modern, highly distributed enterprises to extend service automation outside the company to outside contractors and trade suppliers. 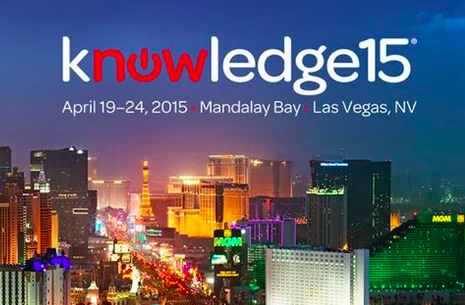 This topic will be discussed as part of ServiceChannel’s participation at the ServiceNow Knowledge15 Conference, an end-user event focused on ways cloud services can transform service management across the enterprise. This topic is timely and relevant for the Knowledge15 attendees who are familiar with the benefits of service automation enabled through platforms such as ServiceNow and who need broader facility management across a distributed enterprise. Highly distributed enterprises such as restaurants and convenience stores or organizations in healthcare, government, and retail deal with many complexities that are inherent to their business models. These include operational issues such as managing technology diversity, systems integration challenges, and lack of visibility. Using ServiceChannel can help these organizations automate key business and service processes such as sourcing of contractors, connecting locations with external service providers, managing invoices and payments for improved performance, compliance, and risk management. Another major benefit of end-to-end service automation for customers is the enhanced visibility and analytics they gain for all work orders irrespective of where they originate. According to Forrester Research, enterprises typically analyze only 12 percent of their data proactively and regularly. Additionally, more than half of simple data requests within an enterprise take more than a week to resolve while more than two thirds of complex data requests require more than a month for resolution. This challenge is especially true when dealing with work orders placed with outside contractors and trade specialists. To speak with representatives from ServiceChannel, please visit the ServiceChannel booth (#P13) or call John Noh at 408-242-3852.